IEATA Conference in Hong Kong. Pre-conference workshops offered by Harambee Arts Nepal at the 11th annual IEATA Conference in Hong Kong. Seven Nepali trafficking survivors and their technical support team spent four years being trained by Harambee Arts in expressive arts techniques. This courageous team of women, who have undergone indignities that no human being should ever experience, told their stories and believed in the process that gave them new life. They have become strong and capable teachers and are sharing the same techniques that allow them to dream of a healthy future. Be prepared to tap into your shadow side as well as your joy through visual arts, storytelling and dance. 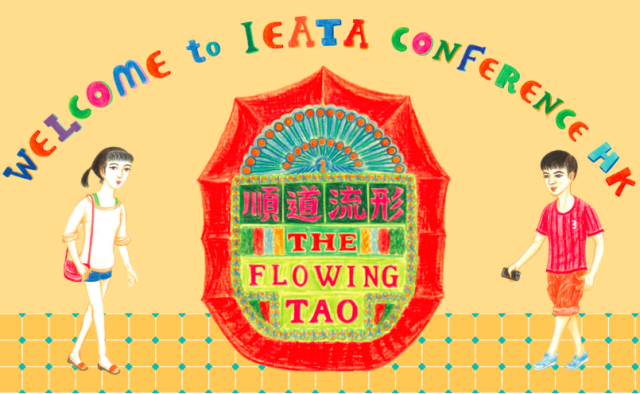 Visit the 11th annual IEATA Conference website for more information & to register. Your 100% tax deductible gift to Harambee Arts: Let’s Pull Together TM directly helps provide art programs for vulnerable children in an environment that fosters their sense of joy, creativity and exuberance. © 2007 - 2016 Harambee Arts: Let's Pull Together | Harambee Arts is fiscally sponsored by Inquiring Systems, Inc.